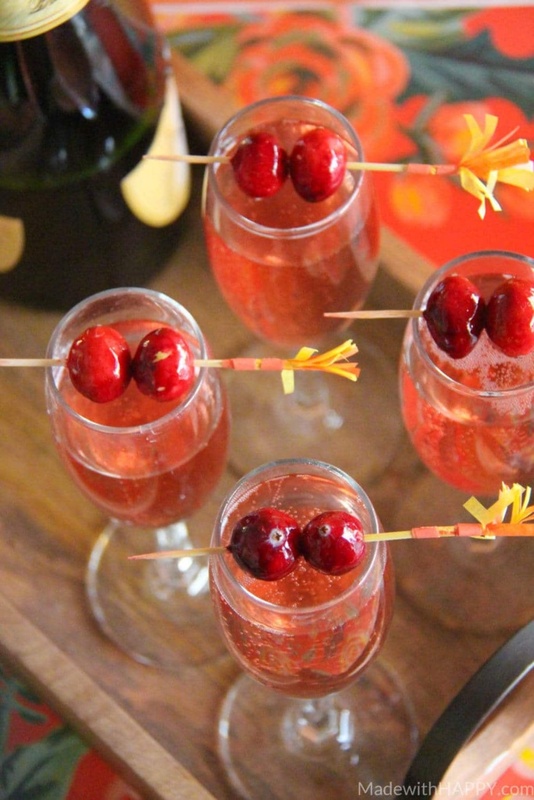 Looking for a fun festive cocktail to serve this holiday season? 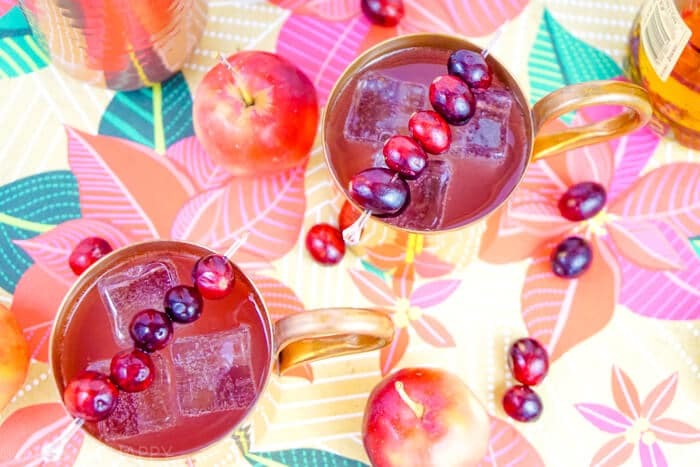 This Cranberry Apple Mule Cocktail will be sure to delight. The holidays are upon us and we are ready to celebrate with our family and friends. The weather has started to chill a bit and so enjoying a yummy cocktail makes for a warm way to toast to a Merry Christmas and HAPPY New Year. A few weeks ago, my Dad and I drove up to LA for the day which takes about 2 hours each way. While on our drive, we caught up on life and my Dad began to tell me about his time in the Army. He told me about the draft and while I knew a bit about his time in the service, it was awesome hearing about how he spent two years stationed in Puerto Rico. I asked him about Puerto Rico back then and what he loved about it. He talked about how Puerto Rico is known all over the world for their premium rums. He talked specifically about Don Q rum and told me a little history of the rum. He talked about the how Don Q rum was the #1 selling rum in Puerto Rico. It was created by the Destilería Serrallés, one of America’s oldest family-owned businesses. 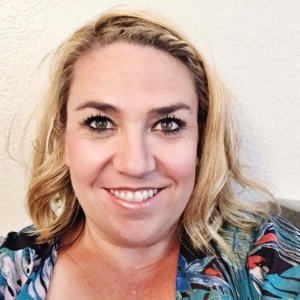 I smiled through the entire story and then at the end, was excited to tell him that I was working with Don Q rum on this fun new cocktail I created. “That’s fantastic Alli. They really are the best rum!” 🙂 So not only did you hear it from me, you heard it from my Dad! 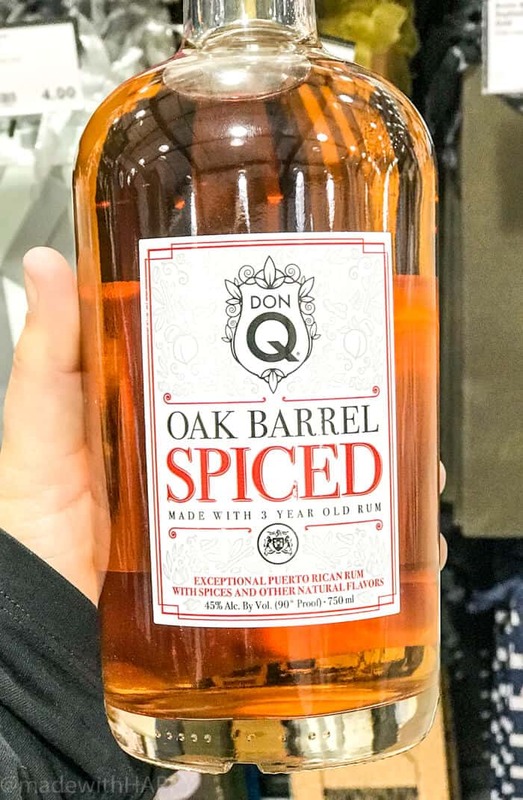 What I love about making this cocktail with the Don Q Oak Barrel Spiced Rum, is that its premium rum with warm rich textures that make this cocktail that much more delicious. Are you a mule drinker? 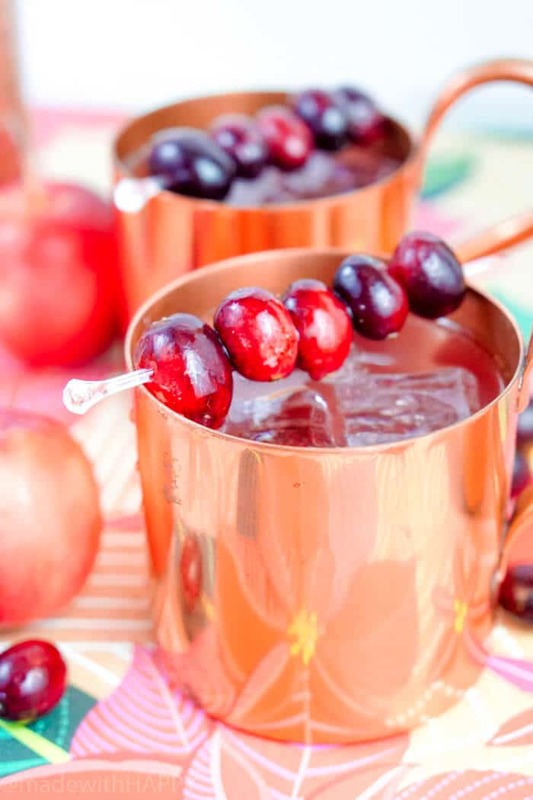 We are big fans of the mules at our house and are always looking for different twists to the delicious drink. 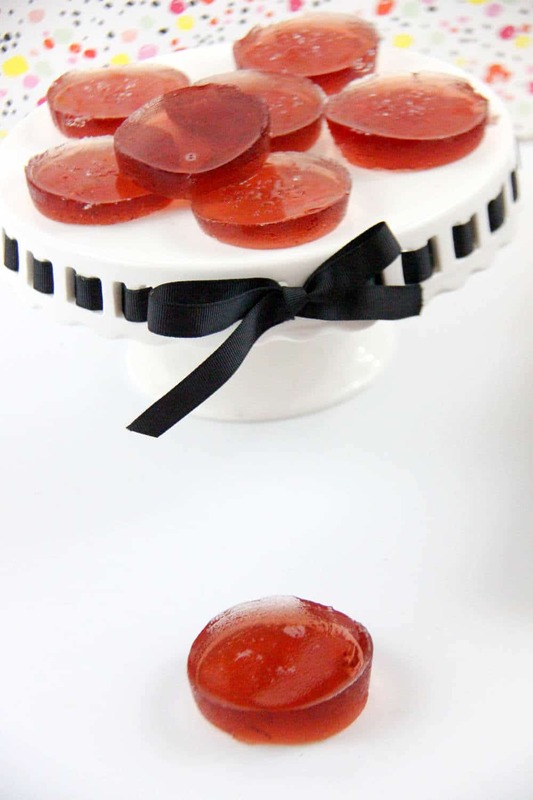 In keeping with the flavors of the season, I set out to find a fun festive version for the holidays. 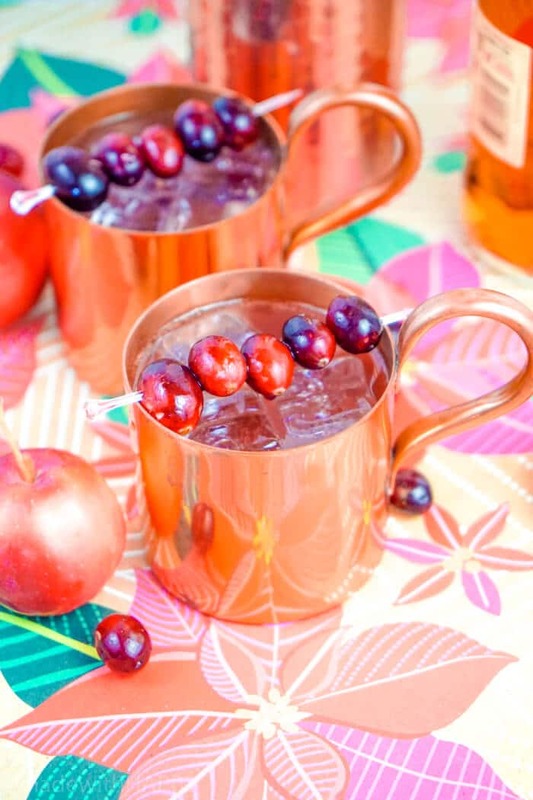 Low and behold, the creation of the Cranberry Apple Mule was born. 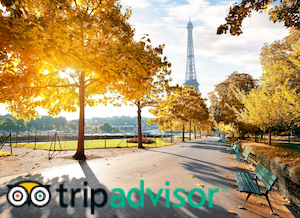 We hope you enjoy your holiday and if you’re looking for a place near your that carries Don Q Spiced, you can find them here. HAPPY HOLIDAYS! 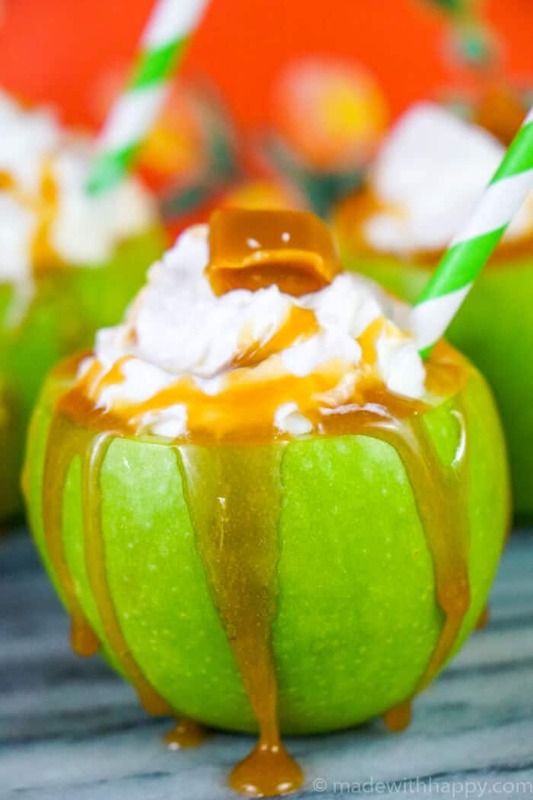 FOLLOW MADEWITHHAPPY ON PINTEREST FOR MORE COCKTAIL IDEAS! 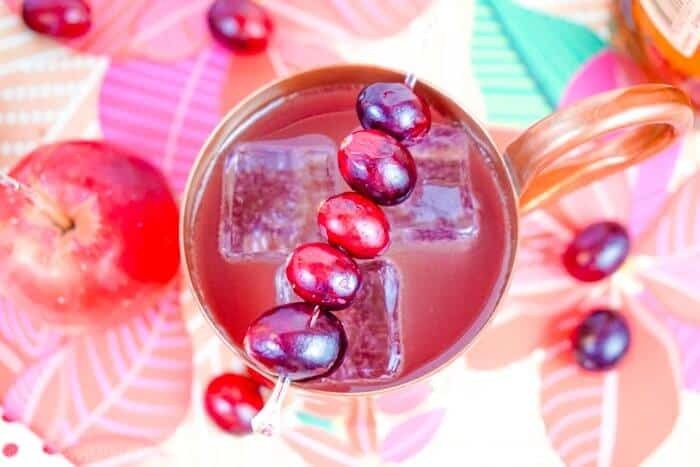 Other Holiday Cocktails You Might Enjoy!